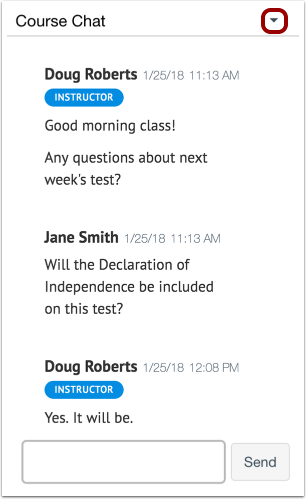 If configured for your institution, inline chat allows you to communicate with other users in your course from areas other than the Chat page. 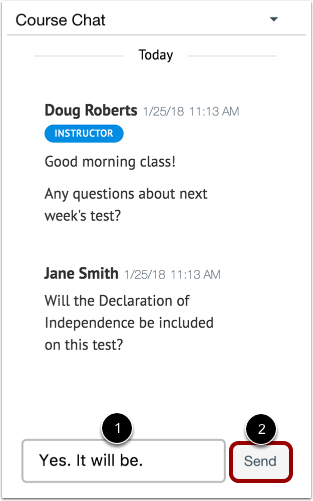 Inline chat will appear everywhere within your course except the Gradebook, Course Analytics, and SpeedGrader. 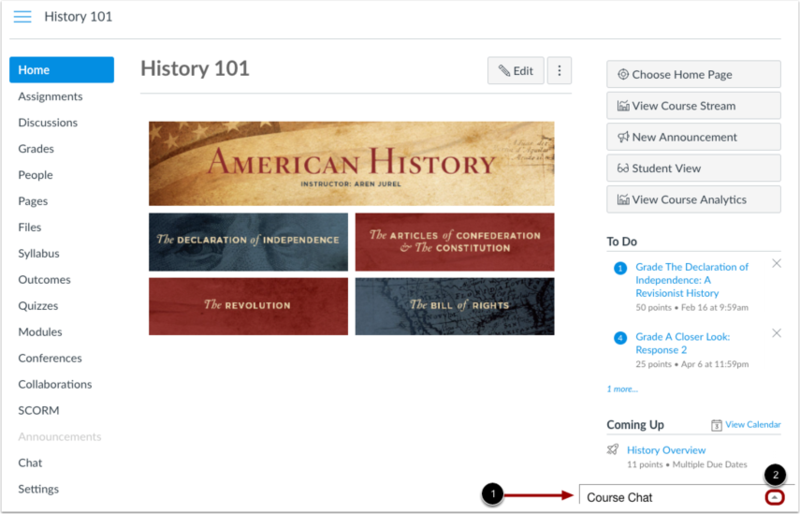 When inline chat is enabled, any user viewing your course will appear as online on the Chat page. Currently there is no load limit for a course chat, but larger numbers of course users may affect performance. You can also chat with course users from the Chat page. If you cannot view inline chat, it has not been enabled for your institution. Chat alerts are not available for inline chat. 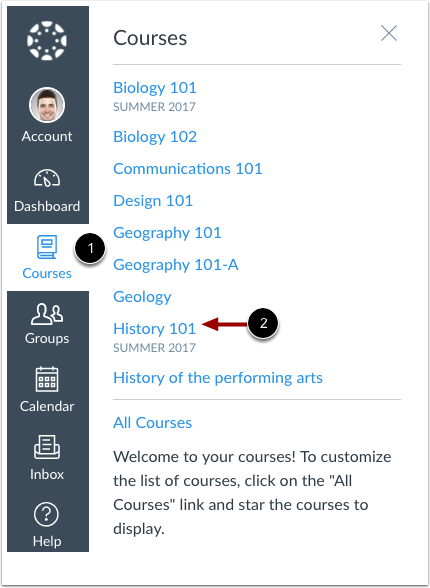 In Global Navigation, click the Courses link  and click the name of your course . 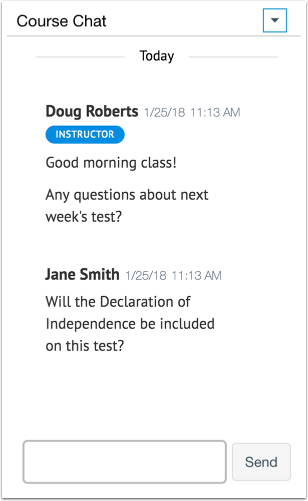 View inline chat in your course . To open your chat, click the Expand icon . Chat must be reopened whenever you navigate to a new page within your course. Chat messages appear in the content window. To send a chat message, enter your message in the chat window . Then click the Send button . To hide the chat window, click the Collapse icon. Previous Topic:How do I use Chat as an instructor? Next Topic:How do I use the Collaborations Index Page? Table of Contents > Chat > How do I use inline Chat as an instructor?